Congratulations. You’ve just been invited to join your first public company board. Great. Now, what can you expect? It’s not just approving the CEO’s strategy or officer compensation recommendations after asking a few questions. It’s more than risk assessments, financial statement reviews, and meeting with the outside auditors periodically. It’s much deeper and more complex, especially if you want to bring a new brand of leadership to the boardroom. You will be confronted with difficult challenges you are not likely to have faced before. When do you lead assertively? When do you lead softly? Who do you talk to for advice? Based on years of experience with many corporate boards as a CEO, board member (often coming on as a newcomer), board leader, and board consultant, I have some hard-learned experience to share that may help you navigate these choppy waters. Before you attend your first meeting (ideally as part of your interview and selection process), ask questions of each board member and share your views of corporate governance. Here you are softly inquiring, informing, and leading. What is the “tone at the top” in the boardroom? What is the tone throughout the firm, i.e., the culture? Are there any industry practices with customers or vendors that the firm follows that might be embarrassing if publicized? Does the the company use “financial engineering” of earnings to meet the quarterly profit targets (e.g., layoffs or bleeding the reserves)? Do you provide guidance to financial analysts on future financial results? If so, have you been pleased with this approach? Hopefully, you will have offered your thoughts and positions on those subjects too. Full disclosure in both directions is essential. Being on a board is one thing. Being on the right board for you is essential. Serving on a board whose philosophies are not compatible with yours can be a disaster. No matter the prestige, or extra income, it will not be worth your time and effort on an incompatible board when the board strife or lawsuits arise. As a newcomer, you may be welcomed immediately as a full-fledged board member because of your deep expertise in the industry, or functional expertise, such as financial acumen. Great. The last time I looked, there weren’t half-votes in the boardroom, or half-lawsuits if something goes awry. You are a full-fledged board member from the moment you are elected or appointed, so you can’t let inappropriate peer pressure influence you. Assertiveness and leadership are required. Be constructive and respectful, of course. Bridge factions if you can. Be fully present and engaged. Help define next action steps. If appropriate, acknowledge your newness and unfamiliarity with the industry or the firm. But do not disempower yourself by being overly deferential to sitting board members. One of the best ways for you to make your contributions, especially as a new board member, is to ask questions: open, honest, genuine questions, not cynical or rhetorical questions. Giving directives from your prior experience is out of line, but sharing your experiences as illustrations of what may be helpful, is fine. The counterpoint to not being intimidated by peer pressure is to avoid micromanaging the CEO. You may have arrived at your board seat as a successful line officer or CEO, but you are not a line officer now. You can’t be giving directives to anyone in the organization below the CEO. You take your ideas to the CEO, or through the board to the CEO, for his or her evaluations. Board members can’t have everything presented to them filtered by the CEO. Board members will need access to the CFO, CHRO, General Counsel, and the line officers. You should be able to meet with them at board/management dinners, in their offices, on tours, and in the field. Not excessively of course. They have their day-to-day work to do. Your role with corporate officers is to listen, learn, ask constructive questions, and then take that knowledge back to the boardroom. Raising numerous new questions and issues inside the boardroom can throw agendas off track and get you sidelined. So, it is wise to raise your issues and questions before, after, and outside the board meeting. Your best points of contact are the Outside Lead Director, the committee chairs, the Chairperson, or the CEO. Leaving issues to the day of the board meeting virtually guarantees you will be sidetracked or overwhelmed. Board committees are the places where much of the hard work of a board is done. Committee membership is not just a place for rotating board members around without much thought. Diversity on committees is certainly desirable, but relevant expertise is essential on committees like Compensation, Audit, and Governance. Express your keen interest in a committee where you feel you can add value, even if there is not an opening on that committee at the present time. You can volunteer to sit in on those committee meetings to learn and offer occasional comments. Then, when an opening occurs, you will be ready and more likely to be invited. Your best counselors during your early months on your first board are the Outside Lead Director, the Chairperson, the Committee Chairs, and the CEO. You are not taking too much of their time to meet or phone them occasionally. You are not looking weak or uncertain by contacting them, asking questions, making suggestions, and exploring options. It is your responsibility to do so. Now that you’ve got your first few meetings or more under your belt, and depending on the circumstances of the firm and board (if the firm is in a crisis situation, you may have to wait), it’s likely time for more active leadership on your part, especially in some sensitive areas that need to be addressed. Many boards do not constructively raise the issues below cited below. I encourage you to carefully and thoughtfully do so. Better corporate governance and financial success will result from your willingness to raise and address these issues smartly. Good boards today go beyond passive oversight, and even beyond active oversight, to active leadership in some areas. Such areas of active leadership might include corporate governance practices, the defined culture and values of the company that are desired, CEO/corporate goal setting, the CEO succession plan, and more. (See Boards That Lead: When To Take Charge, When to Partner, and When to Stay Out of the Way by Ram Charan, et al.). There will be other areas where the board has an active oversight responsibility, including for example strategy development and approval, risk assessment, officer compensation, and more. It is wise to have these lead-follow-avoid responsibilities committed to writing after extensive board discussion. You can encourage such clarification as you make your board contributions over time. Here you are leading softly. Boards also need a regular pipeline of unfiltered information beyond the financial statements. Surveys, hotline reports, and other vehicles that show what is really happening in the firm need to be on the board agendas for periodic review. Topics might range from quality and defect levels, to employee and customer satisfaction scores, ethics complaints, lawsuits, and more. Actively request this feedback. Many industries have accepted practices that need to be re-examined. Illegal practices are obvious to challenge. Some practices are subtler, like salespeople spreading false rumors about the competition. Over time, you will become aware of these practices. Raise questions about suspect industry practices with the CEO outside the board meeting. You never want to blindside him or her in the boardroom. You will probably get pushback. The argument that “everyone’s doing it,” or “we have to do it to survive,” are unacceptable. You will have to persist with the CEO to seek creative ways to stop these practices. As a new director, you must learn the attitude of your firm towards third-party representatives. Here is a place to lead assertively. Years ago, Jack Welch, as CEO of GE, promulgated the policy of stack ranking all personnel and firing the bottom 10% every year. Some firms employ this practice to this day. In my view, such a policy is toxic to an organization, pitting people against one another and undermining trust. Again, take your concerns to the CEO. If he or she resists, then alert the CEO you’re putting this up for board discussion. Boards have great latitude within the scope of their Bylaws and Articles of Incorporation to define the purpose of their firm, and there are no federal or state laws mandating that boards have a fiduciary responsibility to maximize shareholder value except in unusual circumstances, such as when a firm is put up for an auction sale. If your board and leadership team are singularly focused on maximizing shareholder value, then other stakeholders may get shortchanged and cause serious trouble. You have some homework to do and constructive questions to raise with your colleagues. Start with the Outside Lead Director, or the Chair of the Governance Committee. Lead carefully but doggedly. It will take time and effort to change this entrenched view. Many board members have their eyes glaze over when culture and values are raised. They find it easier to delegate those “soft areas” to the CEO and leadership team. Big mistake. It’s not enough to have a good tone at the top. The proper tone must be pervasive throughout the firm. So, culture, ethical standards, shared values, and the Code of Conduct are all fair game for you to inquire about and volunteer to help construct better versions. Does a board member have a vendor relationship with the firm? Does your CEO sit on the Comp Committee of another board whose CEO sits on your Comp Committee? 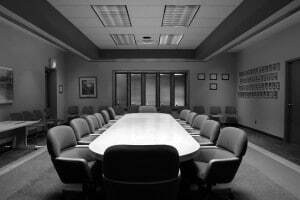 Do board members have family in executive positions? Do outside advisors (an investment bank, law firm, accounting firm) have a long relationship with a board member? These conflicts are red flags that I have witnessed over the years. The firm’s Conflict of Interest Policy may need to be updated. Your allies on this matter may be the General Counsel, Outside Lead Director, or Chair of the Governance Committee. Discussions outside the boardroom and a review of the Conflict of Interest Policy at admired firms may be in order. Assertive leadership is required here. Progressive boards have a written statement of how to determine director independence. The state where your firm is incorporated, or the stock exchange where your shares are traded, may also have some guidelines or rules. In my experience these guidelines seldom go far enough. I have seen boards where the majority had been on the board for decades, where their families frequently vacationed together, board members served on the same boards together, had “retirement” packages at the firm, and where some even drew a management salary for the extra work they (supposedly) provided the firm. Yet they classified themselves as “independent.” They weren’t. Again, your best colleagues to address these issues may be the General Counsel, Outside Lead Director, or Chair of the Governance Committee. Discussions outside the boardroom and a review of the definitions of independence by your regulatory agencies and at admired firms may be in order. Few public companies are immune from outsider attacks, especially in a crisis, or when stock performance has been sub-par. The short sellers, hedge funds, and “green-mailers” (corporate raiders that seek a payment to stop a takeover) can be vicious, often acting illegally and unethically, but with little chance of being prosecuted. Here you must be deliberate and restrained. Only one or two people should be authorized to speak to adversarial outsiders, e.g., the CEO, Outside Lead Director, or qualified Counsel. Two persons from your firm should meet together with these adversaries, never one person alone since you need someone to corroborate what was said. Often it is best to engage with these adversaries to try to defuse their issue. When short sellers attacked a firm where I was the CEO, our legal counsel insisted I not engage with them. That was a mistake, and significant damage was done to our share price and reputation as the short sellers spread their poison. When I finally did engage with them under strict preparation and guidelines, I was able to correct many of their misconceptions. These interactions with outside attackers are not the purview of a new board member. You should remain silent on these issues if ever approached by the media, parties to the issues, or even other stakeholders. Hopefully, it will never come to this point, but you must be ready to be a “voice of one” in the boardroom, even if all your fellow directors are going one way and pressuring you hard to follow. If the issue is a game-breaker to you, and if you can’t persuade your colleagues, then you should resign. This board was not the right one for you. Resignation is your ultimate act of assertive leadership. Joining a public company board is a great honor and a huge responsibility. Congratulations on stepping up to this opportunity. Effective board governance involves going beyond passive and even active oversight to board leadership in some defined areas. Sometimes you’ll follow; sometimes you’ll lead softly; sometimes you’ll lead assertively. Board service is an exciting, challenging, and rewarding experience. Being well prepared will help you succeed. Bob Vanourek is the former CEO of five firms from a start-up to a billion-dollar New York Stock Exchange turnaround. Bob has served on ten boards over his career, many of them undergoing extreme stress. He is a leadership speaker, organizational coach, and one of Trust Across America’s Top 100 Thought Leaders in Trustworthy Business Behavior. 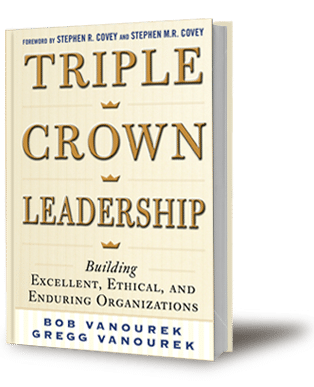 He is co-author of the award-winning book, Triple Crown Leadership: Building Excellent, Ethical, and Enduring Organizations. Website: www.triplecrownleadership.com Contact bob@triplecrownleadership for further assistance.